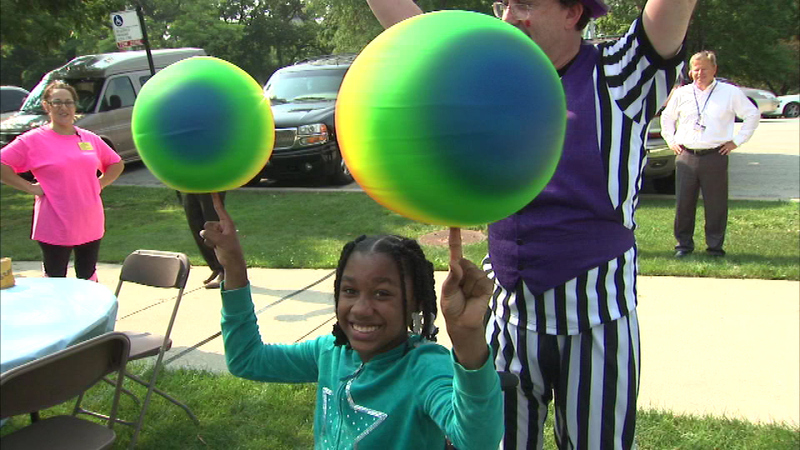 A young girl finds a unique way to raise funds for La Rabida Children's Hospital in Chicago. CHICAGO (WLS) -- La Rabida Children's Hospital in Chicago is using the marathon season to kick off a new fund raising effort. The hospital knows many people can't run the 26.2 miles of a marathon, so it is asking people to do something else, anything else, 26.2 times. For example, make 26 baskets in a row or hula-hoop for 26 seconds, and then line up friends and family to sponsor you.